to the many activities at our rink. to maneuver a six-inch diameter ball up and down the ice. 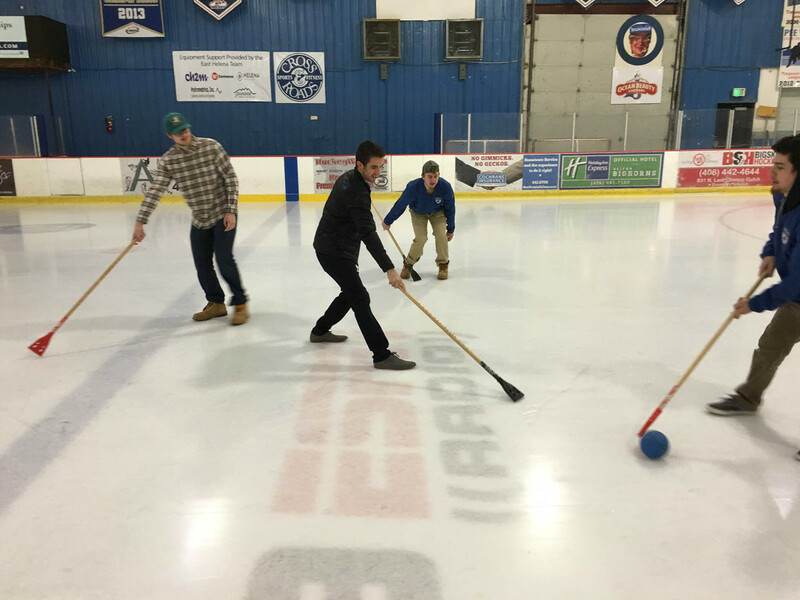 Broomball is a winter sport played in ice arenas and community parks throughout the country. It is a game very similar to hockey in its formation and rules, but also incorporates some soccer strategies. The game is played on a hockey rink with two teams consisting of six players on each side (a goalie, two defensemen and three forwards). 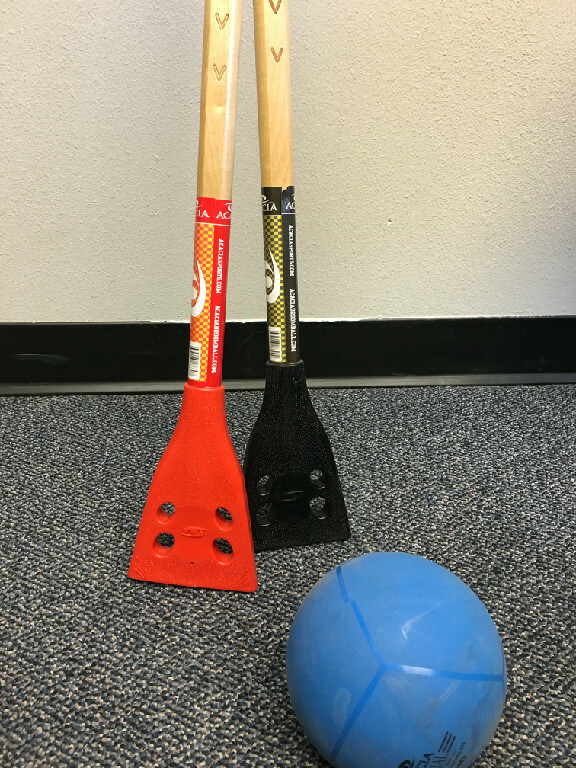 Similar to hockey and soccer, the object of the game is to score more goals than the opposing team..
A player uses a stick (a shaft with a molded broom-shaped head) to maneuver a six-inch diameter ball up and down the ice. Instead of skates, players wear spongy-soled shoes to gain traction when running on the slippery surface. A helmet is required, bike helmets are acceptable but a hockey helmet is encouraged. Brooms and balls are provided at no cost. You can print off and fill out a registration form and drop it off at the rink.